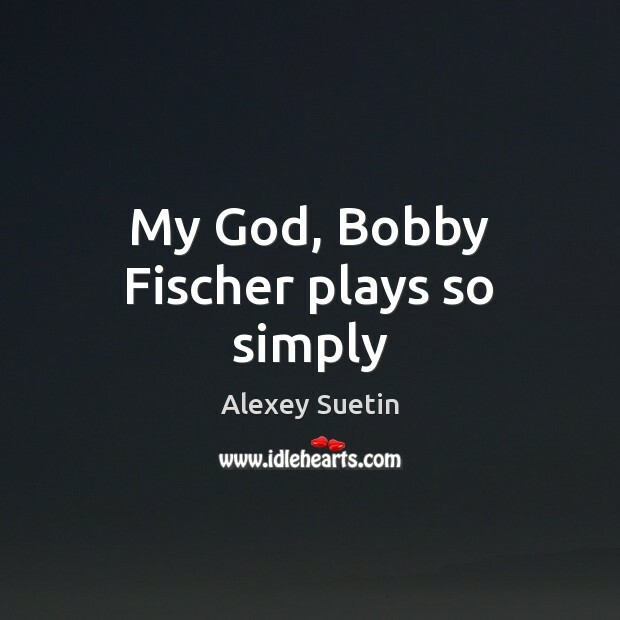 Enjoy the best inspirational, motivational, positive, funny and famous quotes by Alexey Suetin. Use words and picture quotations to push forward and inspire you keep going in life! 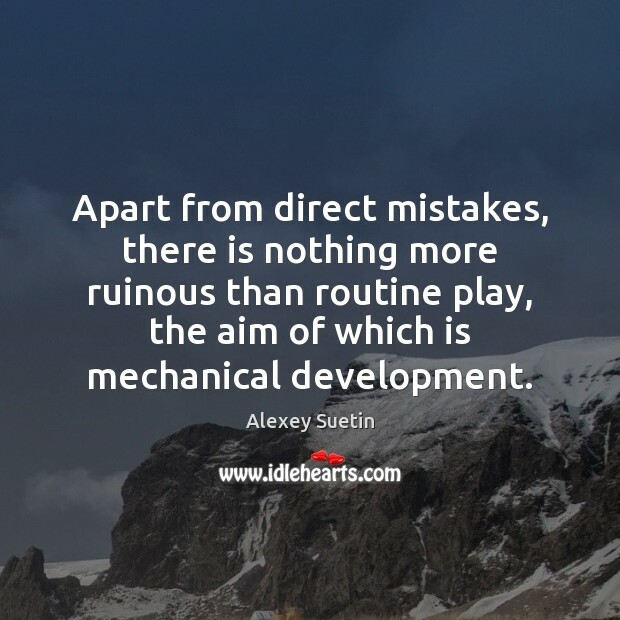 Apart from direct mistakes, there is nothing more ruinous than routine play, the aim of which is mechanical development. 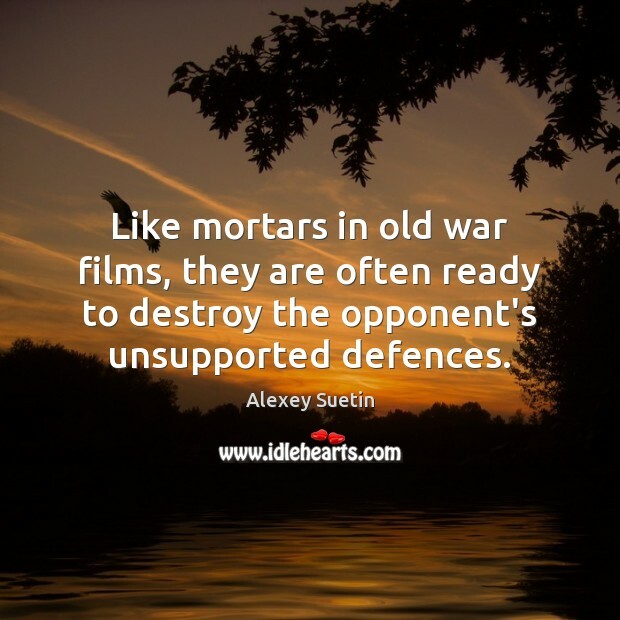 Like mortars in old war films, they are often ready to destroy the opponent's unsupported defences.